Why is Mobile Massage Therapy So Popular? The benefits of massage therapy are becoming more widely known – stress relief, a reduction in issues like anxiety and depression, a healthier immune system, and so on. How about a professional massage in the comfort and privacy of your own home or hotel room. Mobile massage therapy is increasingly popular because you can have the best of both worlds – a professional massage experience without leaving the house. The benefits of receiving a massage in the comfort of your own home or hotel room are innumerable and include eliminating hassles like having to drive through rush hour traffic or finding your way in an unfamiliar location while on vacation. This greatly reduces stress, both before and after the massage, so that you can benefit most deeply from the state of relaxation that massage promotes. Just think, no getting into the car and dealing with stressful traffic situations only minutes after being in a state of relaxed bliss. If you are at home, you can take a bath, read a book, sit on the patio, or go right to bed and fully experience the benefits from your massage. Many people simply feel more comfortable in their own space. Whether it has to do with social anxiety about going out, being sensitive to energies, smells, or other stimuli in a public spa or massage clinic, or just a feeling of more restful peace in your own home, having a mobile massage therapist can eliminate the need to leave the house, which in turns helps to feel more relaxed and have a better overall massage experience. There are other reasons a person might desire to have an at-home massage, including mothers who have small children or are breastfeeding. Most mobile therapists are flexible with issues like this, and a mom can get a much-needed massage and still meet the needs of babies or small children. 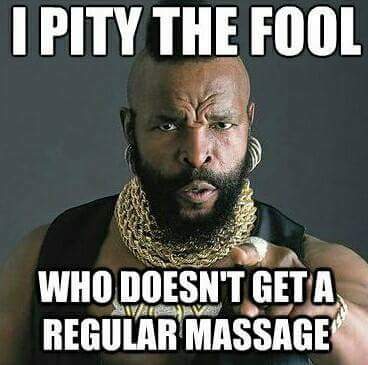 Mobile massage therapists are also much more likely to have a flexible schedule, often working evenings or weekends which works better for many working professionals and parents.